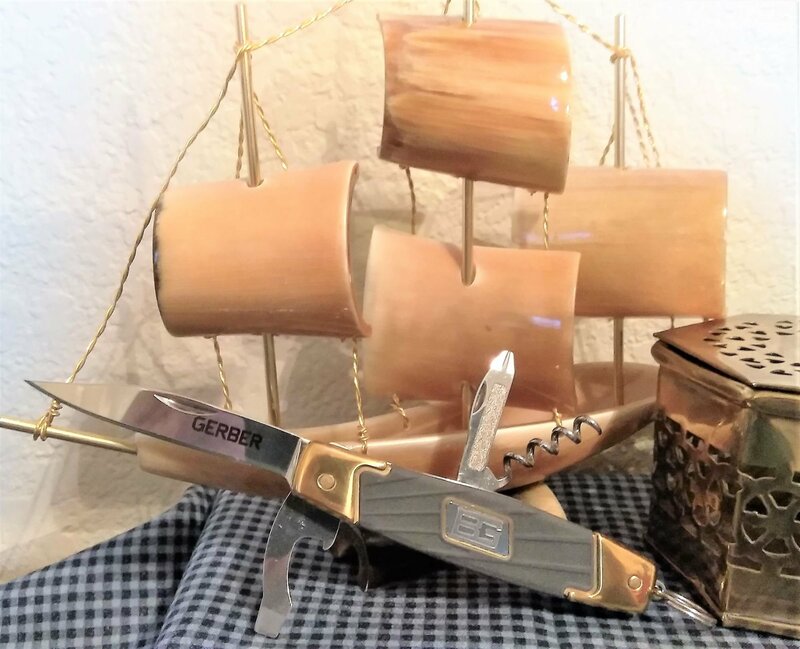 Gerber - 7 function multi-purpose knife. Bear Grylls Survival series Grandfather knife. Stainless Steel components, Handle over-molded TPU Rubber w/stainless steel BG Badge. Made in China..